This is Bozeman’s backyard – an outdoor playground of resort skiing and prime Montana wilderness. Ski powder at Bridger Bowl through the winter, then hike the surrounding undeveloped peaks when the weather turns fair. Part of Gallatin National Forest and just Northeast of Bozeman, the Bridger Range is home to an outdoor adventure paradise. Ski the groomers and side-country ridge terrain at Bridger Bowl. 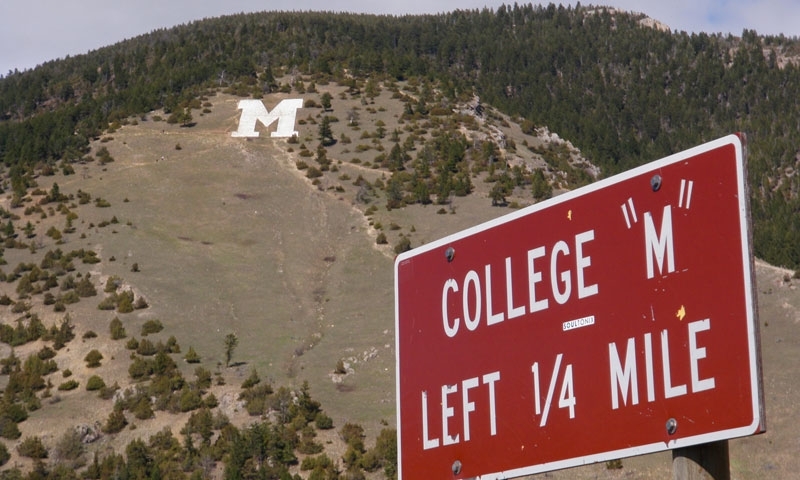 Hike the College "M" Trail. Head to Fairy Lake Trailhead for great camping, hiking, and mountaineering. The most popular trail in the Bridger Range, the College "M" Trail follows a .8 mile steep 850 foot climb to the M. You can either return the same way or contine along the Bridger Mountains National Recreational Trail for 21 miles to Fairy Lake. Sitting at 9,665 feet tall, Sacagawea is the highest peak in the Bridger Range. To access the peak, head to the Fairy Lake trailhead and follow the 4.4 mile trail to the top. There are two established camping areas in the Bridger Range: Fairy Lake Campground (9 sites) and Battle Ridge Campground (13 sites), both located on the eastern side of the range and accessible by road May 15 – September 15 (free, no reservations required). The Battle Ridge Cabin, a rustic wood-heated log structure with 4 bunks, is also available year round with a reservation ($30, 1-877-444-6777). Bridger Bowl, open daily from early December through early April, is known for its expert side-country terrain and inexpensive lift tickets. Where are the Bridger Mountains? It takes over an hour to access the Bridger Mountains from Big Sky. The Bridgers run north to south just northeast of Bozeman. The southern border sits at Bozeman Pass, just east of Bozeman along I-90. The best access to the Bridgers is via MT 86/Bridger Canyon Road. From Bozeman, head north on Rousse Avenue/MT 86. This turns into Bridger Canyon Road. Stay on MT-86 for access to the College M Trail, Fairy Lake Trailhead, and Bridger Bowl Ski Area. When are the Bridger Mountains accessible? The quick answer is year-round. In the winter, you can ski Bridger Bowl from early December to early April. After the snow melts, enjoy hiking, biking, camping, and mountaineering for the remainder of the year. Learn how to climb responsible in order to preserve the sport. Scenic pass area on Interstate 90 near Bozeman.